1. Locate and double-click the downloaded file named "avc_free_mac_intel.dmg" to start the installation. If you are running on Mac OS X 10.8 and 10.9, to correctly use Any Video Converter, you need to do some settings. 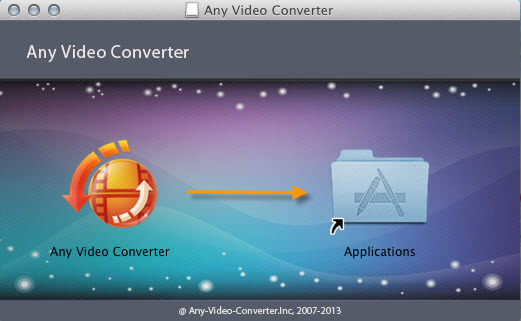 Please visit this guide: How to Install Any Video Converter on Mac OS X 10.8 and 10.9.